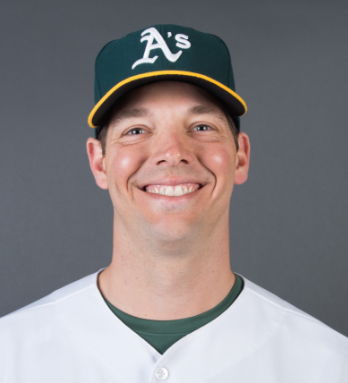 Richard Joseph Hill who is popularly known as Rich Hill is an American Baseball Pitcher who plays for the Los Angeles Dodgers of Major League Basketball (MLB). He is one of the professional Baseball player. He is well known American celebrity. He is very famous for contribution in professional life. His position is Pitcher. His shirt number is 44. Previously, he played for Chicago Cubs, Baltimore Orioles and many more. Before the fame, he is working as a security which was little precious little job. 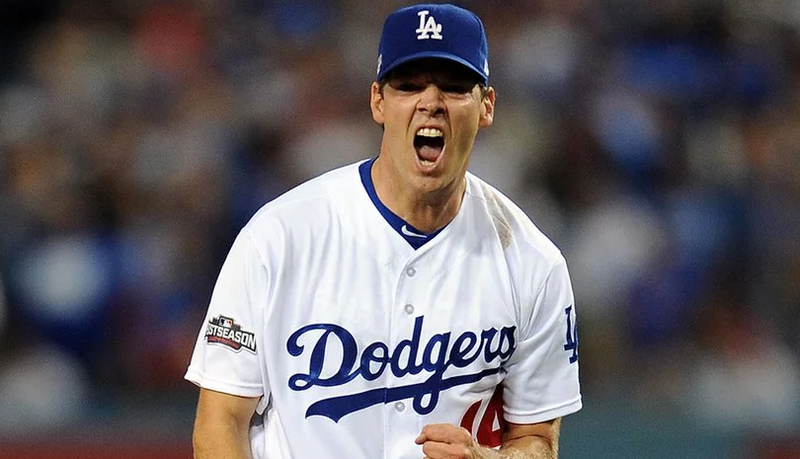 Passionate and enthusiastic player, Rich Hill was born on 11th March, 1980. He was born and raised in Milton. He is the son of Lloyd Hill, his father and Peggy Hill, his mother. His nationality is American. His astrological sign is Pisces. Passionate and enthusiastic player, Rich Hill was born on 11th March, 1980. He was born and raised in Milton, Massachusetts. He is the son of Lloyd Hill, his father and Peggy Hill, his mother. His nationality is American. His astrological sign is Pisces. He had very keen interest in Baseball since his childhood. In childhood, he played for Milton High School's Varsity baseball team as a fresher and he pitched in 13 games with five starts and a high 9.23 Earned Run Average. Hill began his career with the Chicago Cubs. On July 10, 2002, he signed the Chicago Cubs for fourth round of the 2002 Major League Baseball. Later, he began his professional career with the Boise Hawks of the Northwest League. In the game, he was 0–2 with a 8.36 ERA in six games. In 2003, he was 1–6 with a 4.35 ERA in 14 starts which led the Northwest League in strikeouts with 99. He was assigned to the Daytona Cubs of the Florida State League in the year of 2004. He was there in 7–6 with a 4.03 ERA in 19 starts and 136 strikeouts. In 2005, he started with the West Tenn Diamond Jaxx of the Southern League. He was 4-3 with a 3.28 ERA in 10 starts which led the league in strikeouts with 90. Again, in 2006, he began the season in Triple A with the Iowa Cubs. He was called up on May 4 for a start against the Arizona Diamondbacks. In the season of 2007, he pitched against the Milwaukee Brewers throwing a perfect game in the first five innings where he finished with allowing just one hit and one run over 7 innings pitched. In 2008, he struggled to start the next seasonin which he made five starts with 1–0 in a 4.12 ERA, striking out 15. Later he was traded to the Baltimore Orioles for a player on February 2, 2009. After that unfortunately, Hill suffered an elbow injury. Then, he began the season on the disabled list. Due to this, Hill signed a minor league contract with the St. Louis Cardinals with an invite to Spring training on the date of January 26, 2010. On the same year of June 30, Hill again signed a minor league contract with the Boston Red Sox after his surgery recovery. The Red Sox again re-signed Hill to a minor-league contract that included an invitation to spring training due to his continuing of Surgery on December 30, 2011. In total, he made his 25 appearances for the Reb Sox with a 1.83 ERA in 19 2/3 innings and 21 strikeouts in 2012. Hill signed a minor league deal with an invite to big league training with the Cleveland Indians on February 7, 2013 which was his great opportunity. So, Hill signed a minor league deal to return to the Red Sox on the date of February 9, 2014. Again after that, Hill signed a minor league deal with the Washington Nationals that included an invitation to spring training on February 27, 2015. On 17th November 2015, Hill agreed to a one-year deal with the Oakland Athletics with $6 million. Later on August 1st, 2016, the Athletics traded Hill to the Los Angeles Dodgers. On August 24, he made his debut for Dodger by pitching six scoreless innings and making win in a 1-0 game against the San Francisco Giants. Hill then started the second game of the 2016 National League Division Series against the Washington Nationals, pitching very nicely for three innings. His performance was very brilliant on there. The match against the Pittsburgh Pirates was on 23rd August, 2017 where Hill was pitching very perfectly up to 8th innings but on the 9th there was a fielding error by Logan Forsythe. His name was enlisted on the disabled list through the first 2 months of the 2018 season due to recurring blister issues in his pitching hand. He is also the one who helped the Los Angels Doders reach the 2007 World series. Talking about his body, his height is 1.96 m. His weight is of 99 Kg. He has balanced body with good health. Hill is a married man to his high school girlfriend, Caitlin McClellan. The couple tied knot in 11th November, 2007. The couple is blessed with two sons named Brice in 2011 and Brooks Stephen Hill in 2013. Unfortunately, on 24th February, 2014 Brooks died because of "Multiple Health Issues". He signed a 3 year contract of $48,000,000 with the Los Angeles Dodgers including a $2,000,000 as signing bonus, $48,000,000 guaranteed, and an annual average salary of $16,000,000. In 2018, Hill will earn a base salary of $16,000,000, while carrying a total salary of $16,666,666.